Kevin and I definitely couldn't finish all of the Christmas cookies that I have been baking this season. I figured I'd box them up and give them to my coworkers. They deserve something sweet for dealing with me throughout the year! 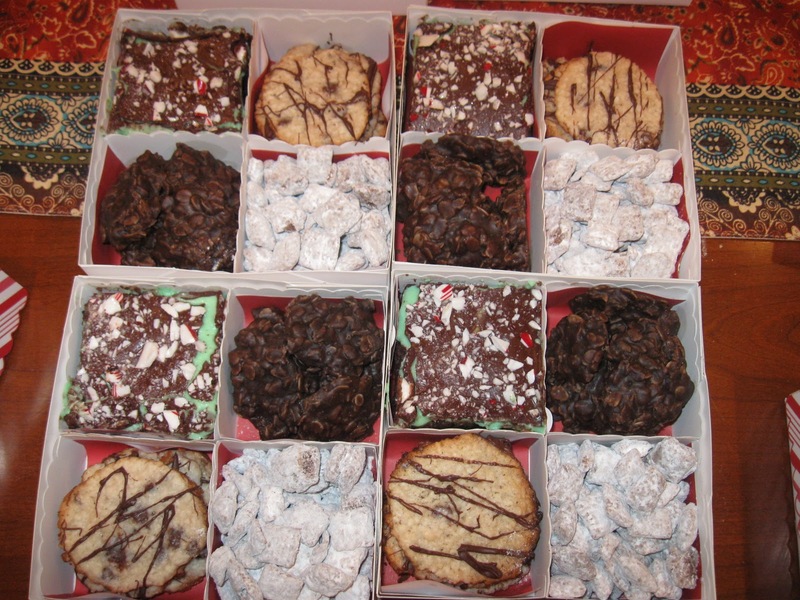 Tip: The easiest way to make your Christmas cookies turn into an awesome gift is to buy a fancy box or bag to put them in! 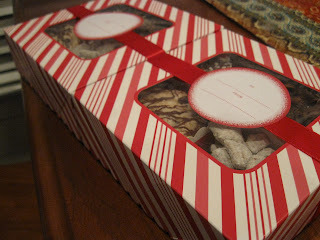 These are Martha Stewart boxes that came complete with the boxes (small and large), ribbon and To/From sticker.